What do you think of websites that do the same thing as “Have I been pwnd?” but charge money for divulging hacked accounts? What’s the worst password you’ve ever seen? Do you see Cambridge Analytica as a turning point for people being aware of the dangers of data breaches? Who’s the coolest celeb you’ve peeped on”Have I been pwnd?” and did they have a dorky password? Ask all this and more to web security expert, Troy Hunt. Troy Hunt is the Regional Director and Most Valuable Professional at Microsoft. 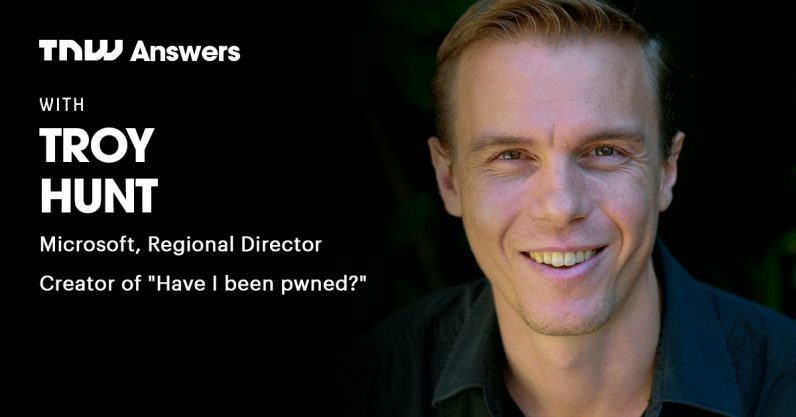 He’s also a Pluralsight author, world-renowned internet security specialist, and creator of the data breach notification service “Have I been pwned?”. He’s testified in US Congress on the impact breaches are having on society, and speaks publicly around the world training technology professionals. Need inspiration? Check out his blog, his Twitter, and his features in articles for The New York Times and The Washington Post. Ask your questions now, and don’t forget to check back for his answers this Wednesday, May 2nd! Read next: China's Golaxy AI defeats top Go player too -- but is it ready for DeepMind?